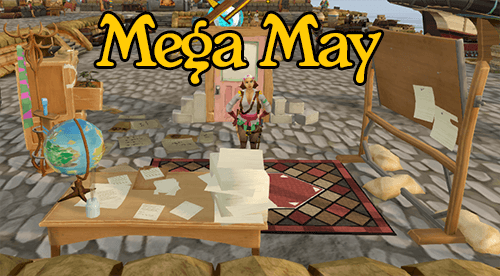 Mega May madness - News :: Tip.It RuneScape Help :: The Original RuneScape Help Site! A new poll has been added! It asks: Which of the May Weekends are you looking forward to the most? To go with the poll we have added a new guide for the Mega May cases and events!